Bone mesenchymal stem cells (BMSCs) have the capacity to differentiate into germ cells (GCs). 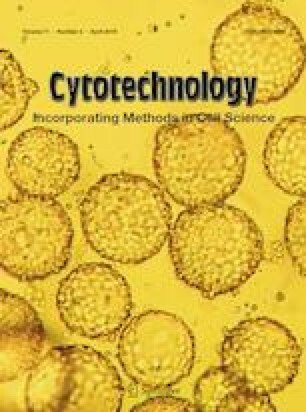 This study was conducted to develop a non-integrated method of using RNA transfection to derive putative male GCs from goat BMSCs (gBMSCs) in vitro by overexpressing STRA8, BOULE and DAZL. The gBMSCs were induced by co-transfection these three mRNAs together (mi-SBD group) or sequential transfection according to their expression time order in vivo (mi-S + BD group). After transfection, a small population of gBMSCs transdifferentiated into early germ cell-like cells and had the potential to enter meiosis. These cells expressed primordial germ cell specific genes STELLA, C-KIT and MVH, as well as premeiotic genes DAZL, BOULE, STRA8, PIWIL2 and RNF17. Importantly, the expression level of meiotic marker synaptonemal complex protein 3 significantly increased in these transfected two groups compared with control cells by qRT-PCR, immunofluorescence and western blot analysis (P < 0.05). Moreover, the protein expression of MVH was significantly higher in mi-S + BD group than that in mi-SBD group (P < 0.05). In addition, compared with control group, the methylation rate of imprinted gene H19 decreased in these two transfected group (P < 0.05), and the rate was significantly lower in mi-S + BD group compared with mi-SBD group (P < 0.05). This study helps to understand the mechanisms of action of key genes in GCs differentiation and also provides a novel system for in vitro induction of male GCs from stem cells. We thank all the participants of stem cell group to conduct the experiment and revise the manuscript. This work was supported by the Natural Science Foundation of China (No. 31201802) and Natural Science Foundation of Jiangsu Province (No. BK20161444). YLZ and PZL conceived and conducted the study and wrote the manuscript, JP, WYJ, WZY, FYX and ZGM helped to performe the experiments, NHT revised the manuscript, FW supervised the project. All authors contributed to discuss the results.